»What Does it Mean if you See a Shooting Star? Shooting stars are a beautiful phenomenon which always seems to bring joy to people. They are in essence particles or an object that has entered Earth's atmosphere at high speed, causing intense heat and the burning up of the object, leaving behind a brightly glowing streak in the atmosphere. 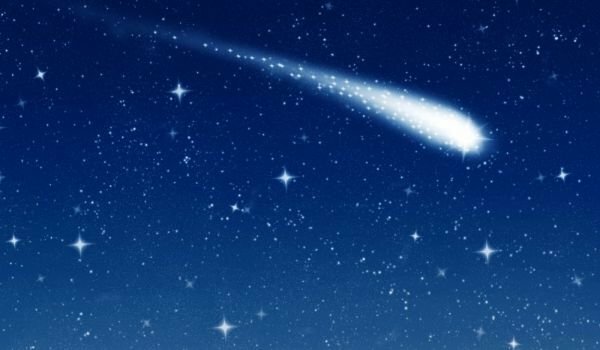 The most common belief is that if a person sees a shooting star they should immediately think of a wish. The point is that during that brief and unpredictable moment, the person would wish for something that they truly want with every fiber of their being. The 1st thing that comes to mind is the most genuine. Don't think too long, for the moment passes quickly and you may end up not thinking of any wish. Believe firmly in the wish you hope to come true and it may actually do so. Avoid wishing for material things, which are fleeting and not nearly as valuable as spiritual experiences. It is believed that if 2 people see a shooting star together, they will be happy and forever bonded. Others believe that their life depends on them alone and that there's no point to wishing for anything but still, it doesn't hurt to believe that the natural phenomenon has the power to bring us happiness, health and fortune.